Violeta Trapcheva-Fane began her violin study at the age of five in her home town Sofia, Bulgaria, where she attended an exclusive music school for talented kids. In 2002, she was offered a full grand scholarship to come to the United Stated and pursue a degree in Violin performance. She earned a Bachelors of Music from Texas Christian University and later a Masters of Music degree from Southern Methodist University where she graduated with honors. Some of her most influential teachers were, Dr. Curt Thompson, Swang Lin (Associated concert master of Fort Worth Symphony Orchestra), Chee Yun-Kim and Diana Kitzman (Dallas Symphony Orchestra). During the last 15 years, Violeta Trapcheva-Fane has played in numbers of ensembles in United States and in Europe, including Irving Symphony, Plano Symphony, and Las Colinas Symphony Orchestra. 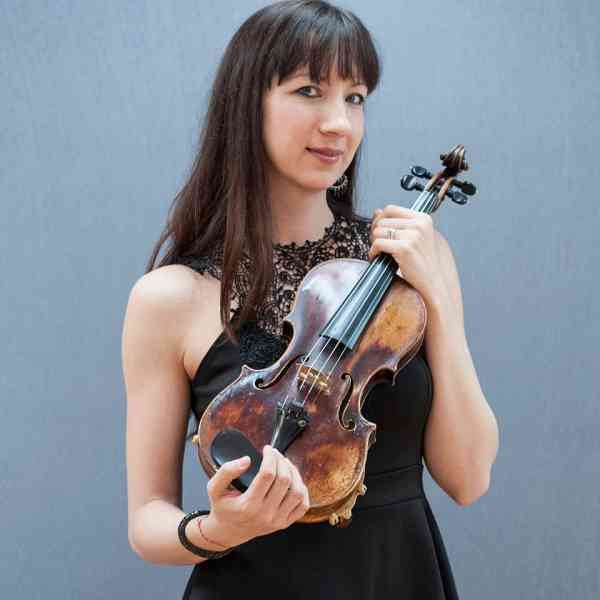 Violeta currently works as a professional violinist and a teacher, and frequently appearing in various orchestras and ensembles in DFW metroplex. Violeta has played both violin and piano since she was a little girl and enjoys teaching adults and kids of all technical levels. Her goal as a teacher is to offer the highest quality of music instruction, and help students develop a lifelong love for music.